New Zealand recently hosted up-and-coming artist Arjun Coomarasamy from the UK, who performed at the well known Annual Bollywood High School Dance Competition. His special guest performance had captured the audience as he sang some of his songs, including his English remix of Why this Kolaveri Di. 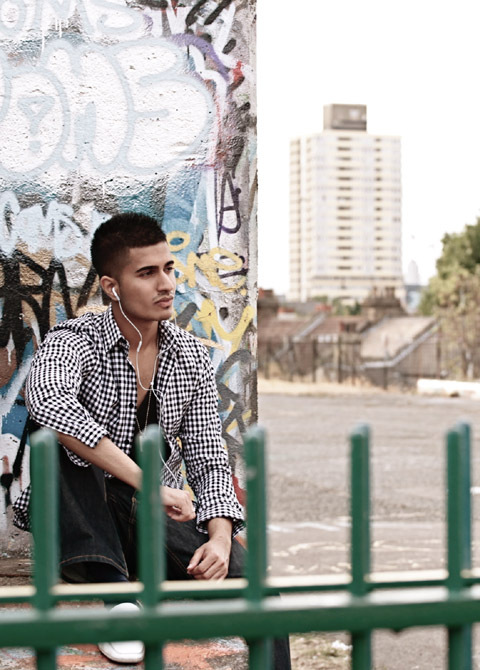 As one of Arjun’s fans I had the opportunity to sit down for a heart-to-heart chat with this upcoming artist and get some insight on how his life had changed since he hit the music scene in the UK. 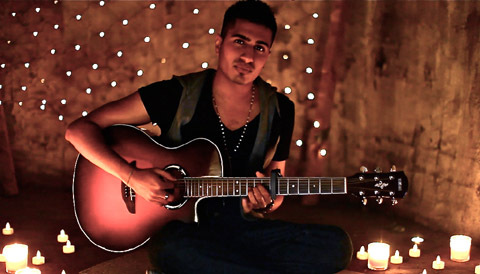 Arjun’s music talents began when he was a lot younger. His mother had him learn a range of different instruments such as the piano, guitar, drums, and even the flute. She had also exposed him to jazz, western and eastern classical music in his younger days, too. However, it was during his early teenage years that he gained a fancy towards the R&B scene. 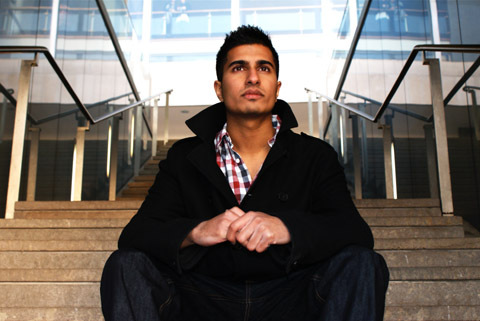 As years passed he found his place in the UK’s Asian music scene where he began producing and writing music for other artists. As time progressed, this young, talented but shy young man built up his confidence to pursue an unexpected career in the music industry, by recording his own music. 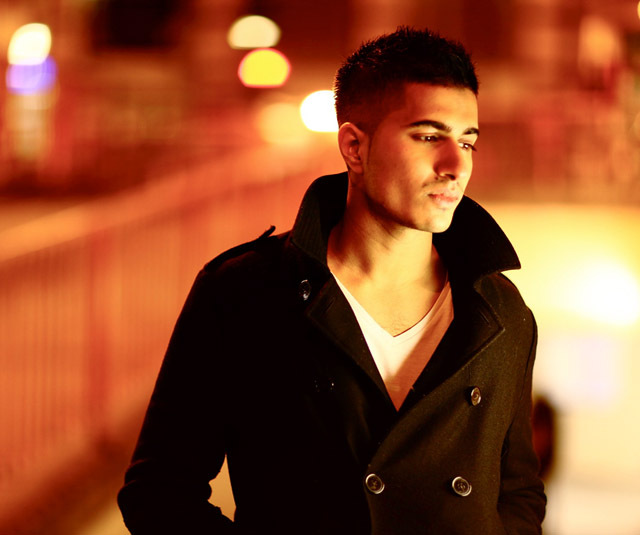 Arjun had released his first single two years ago called ‘Remember Tonight. I spoke to Arjun about his music similarities to one of the world's iconic artists, Jay Sean, and what his take was on the fans who saw this. He’s amazing, he’s achieved so much, he said. I’m flattered to be compared to him in some ways but his sound is different to mine. He explained to me that with his background in learning instruments, most of his music is focused on his instrumental talents, in particular his guitar, which generates his acoustic sounds for most of the tracks. Many will know Ryan Leslie as a record producer, multi-instrumentalist, rapper, entrepreneur and singer but Arjun sees him as someone he looks up to. He also happens to be Arjun's favourite artist. It seems like I may have put Arjun on the spot about the ring. He went on explaining about how he use to wear a lot of jewellery back in the day, but, as time passed, he’s been reminded to lay off the heavy bling, which has resulted to keeping it just to one ring. Asking Arjun on what it was like to his parents he had choose to go down a path that was not at all expected from a typical Indian parent, he responded, I’m lucky that my Mum is quite musical herself, so she loves the fact that I do music. Had he not become a professional musician, he would still have followed a creative career, he says, something on the lines of design, and possibly a graphic designer. Now what’s an interview without some fan questions? Most of your music is directed at a girl or is about a girl. Is there anyone in particular that you gain inspiration from? Some of them have been about people, but a lot of it is just general. It tends to be about stuff that I have been through and some of it is just stuff that I have heard from other people like friends, but I will say that there is not “a” girl. How do you get your style, do you have a stylist or do you just style yourself? I style myself but I do get some help from ‘her’ (referring to a female in his team) and people just help me out, but no stylist yet. What are your favourite brands? When you are performing, have you ever got verses or lyrics mixed up? Funny enough, [in] the radio interview with Radio Tarana, I forgot a few words and ended up changing the words around, but yeah, it only happens occasionally, if not rarely. Don’t know why, though I tend to practise them every time. In the music industry, fame is important. However, what helped Arjun gain a lot of respect from me while interviewing him was when I had asked him how he shows appreciation to his fans that have been with him from the beginning. I know the key fans of mine who have been there from the start and I do keep in contact with them and chat to them online. I don’t forget and I’m faithful to those who have helped me out, he replied. He was clearly grateful for the life he has, and how successful his music is becoming. I had a bit of fun testing Arjun on his New Zealand trivia. Needless to say he made a very good attempt of answering all the questions, and seeing that he had only been in the country for two days, his attempts were respectable. The best part was trying to get Arjun to pronounce Māori. Having a UK accent didn’t help. Tania Naidu is a Lucire contributor.